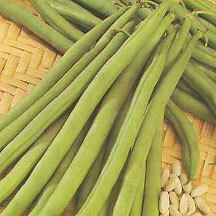 East Asia Trading has been a leader in the export of quality fresh vegetables to a growing world for twenty years. Retailers, importers, wholesalers and distributors in more than 40 countries appreciate EAT's reliable service, and attention to details. Our professional sales and field staff work together to find the finest produce that meets our customer's specific requirement for quality, condition and price. EAT is unique in having its own dedicated staff and facilities to handle mixed shipments of produce for air and sea freight shipments. We specialize in handling mixed loads of produce for airfreight shipments. Produce is carefully selected, inspected and loaded by our own staff. A practical slim podded variety, favoured by gourmet restaurants because they are the tasty, tender and needs no slicing and other preparations, hence there is no loss of flavour. Beans can be picked at 9cm (4in) in bunches, but can be left to grow to attain maturity at 15-18cm (6-7in) when it will still be stringless and relatively slender (approx. 5/16 to 3/8in thick) in comparison with most varieties. 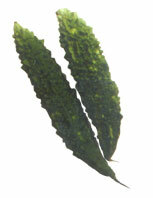 It is alwyas best to pick pods on the young side when flavour and tenderness are at their best. Indian okra, also called 'Ladyfinger' and 'Bhindi' in Hindi. 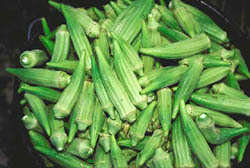 Indian variety of Okra has become very popular in markets for its high quality. Plants are medium tall, vigorous and prolific. Pods are thin, and very tender. Okra is a rich source of many nutrients, including fiber, vitamin B6 and folic acid. Packing : Packed in corrugated boxes of 5kgs to 10 Kgs.each as per requirement. 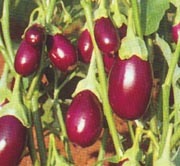 Small egg plants are only about 30 grams (1 Oz.) in weight with bright red puple color. High quality fruits are very popular for making various stuffed food in India and Southern Asia. This is a typical variety of Indian Bitter Gourds and is very popular for Indian cuisines. An unique appearance of Indian Bitter Gourds is teeth on the fruit skin. 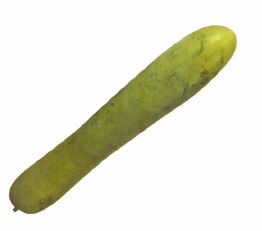 This variety produces long green skin fruits, 8-12 inches in length and about 1/4 Lb. in weight. The plant grows vigorously in warm climates and bears lot of fruits for a long time. Bitter Gourd has excellent medicinal virtues. It is antidotal, antipyretic tonic, appetizing, stomachic, antibilious and laxative. The bitter Gourd is also used in native medicines of Asia and Africa. Packing: packed in corrugated boxes of 5 Kg to 10 Kg. as per requirement. A long and curved fruits that appear like snakes hanging on the supports or ground. This subtropical plant grows very fast in warm climates. 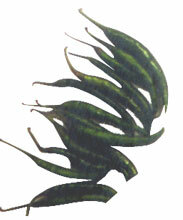 Chilli is a tropical and sub-tropical crop grown all over the country in India. Various types are available depending upon their appearances i.e bottle shaped, trumpet shaped etc. The fruits are large and come in different shapes with numerous long white seeds. Cabbage is one of the oldest vegetable cultivated in the world, believed to be since 2500 BC by Greeks and Romans. In India, it was introduced by the Moghuls and popularised by the the British. 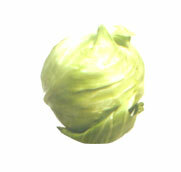 Cabbage is mostly grown as a winter crop in the plains in India. Packing: In corrugated boxes and are exported by airfreight or sea freight. Its sensoric quality is fresh and pleasant, remotely reminiscent of tangerines. The origin of this plant is in Southern India and Sri Lanka.